The most accurate Ashford / Mansfield / Willington town map available online. The Town of Ashford, incorporated in 1714, is nestled within the Quiet Corner in Northeastern Connecticut. Comprising of 39.5 square miles, we are located within Windham County. The Town of Ashford is currently home to 4,317 residents. The Town of Ashford operates under a Town Meeting form of government. We have a three member Board of Selectmen and a nine member Board of Finance (six regular members and three alternate members). 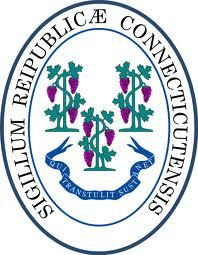 We are within the 2nd Congressional District, the 35th Senatorial District, and the 53rd District of the Connecticut House of Representatives. Ashford School, located at 440 Westford Road (Rte 89 North), is our only public school within the Town. As of October 1, 2011, Ashford School had 482 students enrolled in grades Pre-K through grade 8. Of the Ashford students in grades 9 through 12, there are 234 who are enrolled in E. O. Smith High School, (Regional School District #19), 20 Ashford students at Windham Technical High School, and 8 Ashford students enrolled at ACT Magnet School in Willimantic. Incorporated in 1702, most of Mansfield's first settlers were farmers, and agriculture continues to be an important part of our community today. Rivers powered saw and grist mills from the early days, and during the nineteenth century Mansfield was a manufacturing center. The Storrs Agricultural School was established in 1881 and became the University of Connecticut, now one of the largest employers in eastern Connecticut with a local student population of 17,000. U.S. News and World Report has named the University of Connecticut as the number one public research university in New England, and in the top 25 in the nation. Today, Mansfield serves as a regional cultural center with its many theater, music, museum, agricultural, and historic programs attracting visitors across the state and the nation. 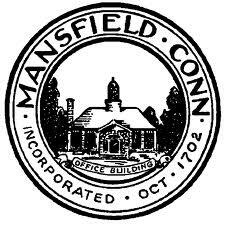 Come and enjoy the beauty and traditions that the town of Mansfield has offered for more than 300 years. Willington is a town in Tolland County, Connecticut, United States. The population was 5,959 at the 2000 census. The Willimantic River borders the town on the west. Willington is about 25 miles northeast of Hartford on Interstate 84, which also provides a connection to Boston, via the Massachusetts Turnpike. Providence, RI is accessible via U.S. Route 44. Larger communities nearby include Coventry, Stafford, Tolland, and Willimantic. The University of Connecticut is located in adjacent Mansfield. The new public library (formerly located within Hall Memorial middle school) has been completed and opened as of fall 2006. Willington was incorporated in May, 1727.